Pinelands Councillor's Report from Alderman Brian Watkyns on the Pinelands Directory - the community website for local business and Pinelands residents"
Brian Watkyns has represented the Pinelands area since 1982. The original Pinelands Town Council consisted of 6 Councillors. With the first amalgamation of local councils in 1996, Thornton, Epping 1, Ndabeni and Maitland Garden Village were added to Pinelands with a part of Maitland to create Ward 37. The year 2000 saw the introduction of mega- cities with 200 Councillors. Ward 37 had areas of Langa, Kensington, Observatory, Mowbray and Hazendal included to create new Ward 53. In 2005, the boundaries were changed to exclude Kensington but Maitland Garden Village was once again included. Brian is currently the Chairperson of the Planning and Environment Portfolio Committee and the Chairperson for Sub Council 15. Brian also serves on the Spatial Planning,Environment and Land Use Management Committee. In addition he is a trustee on the Cape Municipal Pension Fund and a member of the Table Mountain Advisory Forum Steering Committee. From time to time Brian issues printed report backs in the form of a Pinelands Focus and a Thornton Focus. Updates are issued on a regular basis in an e-mail format. If you want to be included in the mailing list send your details to bwatkyns@icon.co.za. Separate updates are sent to Pinelands, Thornton and Epping, so please indicate which you would like to receive. If you would also like to receive news of a more political nature, please indicate and you will be added to the political news database. Howard Centre management boycotted a meeting which I called on Tuesday 24 August to try to resolve a number of outstanding issues surrounding the recent upgrading of the Centre. Non compliance with the lease of City land regarding the informal traders and parking for library staff. Possible non compliance with the required number of parking bays and loading bays. 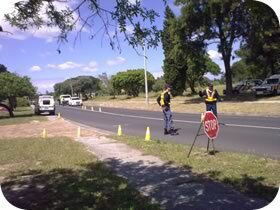 For many years residents have requested traffic calming measures for Nightingale Way in Pinelands as it had become hazard to pedestrians due to the number of speeding motorists. 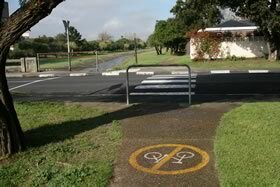 The Zebra crossing in the area of the bridge over the Elsieskraal River Reserve is often ignored, placing pedestrians at risk. Initially residents requested that the zebra crossing be augmented with a pedestrian robot but this proved too costly. The many subsequent requests for traffic calming measures did not meet Council’s criteria for establishing speed humps. About two years there were two accidents in Nightingale Way involving young Pinelands residents. The one accident resulted in the loss of two lives and in the other , the loss of a limb. This intensified our quest for traffic calming measures but still the criteria was not met. I requested that regular speed traps be set up. This was done but there was no appreciable difference in motorists behaviour and Nightingale Way remained unsafe. Late last year it became evident that an increasing number of learners from the two schools in the vicinity, namely Canons Creek School and Pinelands High School, needed to cross the road at peak hours in the morning. I requested approval for part of my 2010/2011 ward allowance to be utilised for a raised pedestrian crossing similar to one in Howard Drive and permission was granted. 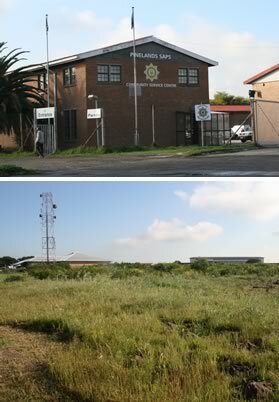 For almost 60 years the Pinelands Police Stations was accommodated in a rented residential property in appalling conditions in St Stephens Road, Pinelands while more recently the detective branch operated from a house in Forest Drive The Pinelands CPF lobbied for many years to have a new station built on the unutilized Provincial land in Avonduur on the edge of Pinelands. Despite promises made by SAPS National Office, this did not materialize. However the St Stephens property was sold in 2006 with the result alternative accommodation had to be found. As an interim measure both the Station and the detectives were moved to the then recently vacated SAPS task force offices on Jan Smuts Drive in Maitland in late 2007. Although these premises are purported to be temporary, they have some critical drawbacks. The main issues being the lack of holding cells and a lock up storage facility known SAP 13 which used for storage of evidence . On a daily basis the Pinelands SAPS have to transport prisoners to cells in either Kensington or Maitland. The absence of these critical SAPS facilities severely hampers the effectiveness of the Pinelands Police Station and highlights the urgent need for the long promised new Pinelands Police Station to be built. 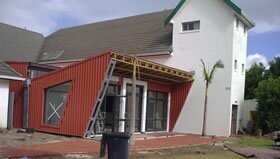 However it appears that with the move from the original station, there is little motivation on SAPS National Office to keep their promise even though directly opposite the current station, they are in the process of developing new Provincial office. It is therefore unlikely that lack of finance is holding back the promised Pinelands Police Station. One of children playing in the newly moved park at Central Square which Brian Watkyns did with ward allocation. The play park was previously behind the Pinelands Library, but had become derelict and disused. In its new safer and more prominent location, the refurbished play park is now well used. Brian Has received a number of emails expressing thanks. 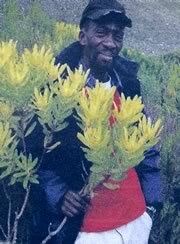 Sadly, Themba, the Parks Dept man in Pinelands died recently. A building renovation in progress around the Central Square Heritage Area. Brian Watkyns is seeking opinion on whether such developments are in keeping with a proclaimed heritage area. The Athlone Power Station which was shut down in 2005 has been an issue for Pinelands residents for many years. Earlier this year it was decided that the two towers would be demolished, due to the fact that they have become structurally unsafe. The original date for demolition of May 30 is being reconsidered at the moment. Alderman Clive Justus, the City of Cape Town’s Mayoral Committee Member for Utility Services, announced that Jet Demolition (Pty) Ltd. had been appointed to demolish the two cooling towers at the former Athlone Power Station. Three months ago, on 14 February, reinforced concrete stiffening rings on one of the towers collapsed. These stabilising rings were added more than two decades ago and their collapse raised safety concerns.Two consulting engineering companies confirmed that the towers may collapse, particularly in strong, north-westerly winds and a decision was thus taken to proceed with the demolition of the towers. In terms of the bid specification and an agreed working programme, the winning contractor will be responsible for safe access to the towers and their implosion. Thereafter, they must clean up, level and prepare the site for subsequent operations. In response to the request for quotations, eight offers were received, ranging from R4,79 million to R23,46 million. Following an evaluation and a check for compliance with the tender requirements, the lowest offer which complied with the specification, R6,496 million, was submitted by Jet Demolition (Pty) Ltd. The need to expedite the demolition was obvious and the City Manager’s office, accordingly awarded the contract. The company’s track record indicates that it will be able to successfully complete the contract. Jet Demolition will now meet City officials and the appointed consulting engineers to discuss the programme for the works in greater detail. “We are well aware of the great public interest in the demolition of the towers and will share further information with the public as the process unfolds”, Alderman Justus said. Not all buildings will be demolished. In particular the old red brick turbine hall, which was built in the 1950s is envisaged as being part of the redevelopment of the site. There are some constraints on the site, one of which is a 'chlorine exclusion zone'. This zone covers part of the area nearest the sewage plant on the south side of the N2 and makes that part of the site unsuitable for housing. There is strong support from academics to aim towards creating a green power station, with educational facilities housed in the old buildings. As the Chair of the Planning Portfolio Committee I believe that all of the surrounding communities will benefit from the responsible re-use of the site. We are, however, at the beginning of a long process of exploring what is possible and affordable. Much more work needs to be done, also involving statutory land use planning and environmental approval processes. All of these will be undertaken in consultation with interested and affected parties and surrounding communities. The City Council has passed a by-law enabling it to deal swiftly with the control and management of dilapidated and problem buildings throughout Cape Town. The legislation empowers the City to implement a strategy to address problem buildings by rejuvenating them or demolishing them. The by-law was formulated following the finalisation of an extensive public participation process. The City has tabled a draft budget of R22,8 billion for 2010/11. This is made up of an operating budget of R19.3 billion and a capital budget of R3.55 billion. Included, is a provision of R1.2 billion to provide relief for the poor such as free electricity and water, and rates and tariff rebates. In its proposed budget the City has increased the rates rebate on all residential properties from R88 000 to R200 000. This rates rebate, in addition to the R1.2 billion (equal to 6 percent of revenue) that Council has set aside for relief to the poor, represents a strong commitment from the City to assist its poorer residents. The final budget will be approved by the City Council at the end of May 2010. The City of Cape Town has proposed new tariffs including average increases of 24,6% for electricity, 10% for water and sanitation, and 18% for refuse collection. . The municipal rate has been reduced to 0,531 cents-in-the-rand. According to Alderman Ian Neilson, Mayoral Committee Member, the significant jump in electricity prices is inevitable because of the 28.9% Eskom bulk tariff increase to local government. The draft budget can be viewed at all public libraries and is open for comment until April 30. The new rates and tariffs will be introduced as from 01 July 2010. 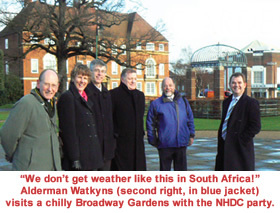 As the English and South African cricket teams battled it out in 30o heat in the test match, Alderman Brian Watkyns of Pinelands Garden City in Cape Town travelled the other way to pay a visit to a frosty Letchworth before Christmas. At about 1am on Sunday the reinforcing rings on one cooling tower at the Athlone Power Station collapsed, causing Council to take the decision to demolish both towers by implosion. Council initially took the precaution of closing the N2. I was on site with structural engineers and officials by 9am and a visual assessment showed that the collapse of the rings had not compromised the structure and there was no immediate danger of the tower collapsing. However engineers indicated that the strong north wind experienced in the winter months sets up a vortex between the two towers which could cause the tower to become unstable and recommended the demolition as soon as possible. In the early 90s at least one cooling tower in the UK which had a similar design to the two at Athlone collapsed. As a result , precautionary measures were taken by erecting reinforcing rings on both Athlone towers. The Power Station was commissioned in 1961 and was taken out of service for 10 years from 1985, costing the City about R217milion keeping it ready for some future use. In 1995 it started operating again but was used only in the peak usage periods. Council spent R30 million from 1995 to 1997 to remove the asbestos, install bag filters to reduce pollution and various other upgrades. In 1996 the National Electricity Regulator questioned the profitability of the its operation and in January 1998 a report was submitted to Council, recommending the decommissioning of the power station. Finally in 2002 Council decided to decommission the power station. This was greeted with much relief by the residents of Langa, Pinelands and Athlone who had to endure excessive pollution from the Power station during its operating life span. Since then there has been much debate over the future use of the site and in particular the future of the towers with residents in the City being divided over the what should happen to them. While the public debate over the future of the site continues, the future of the towers is now sealed making way for the 8 hectares they occupy to be developed as part of the overall future design. City property valuers are currently working on the next general valuation, which involves an additional 100 000 rateable properties since the last valuation in 2006. General valuations are carried out every three to four years to reflect the shift in value between the types of property in Cape Town. The new valuation roll, upon which property rates will be based from July 2010. There are over 780 000 properties to be valued and as in the two previous general valuations, the City has adopted a mass valuation methodology, in line with accepted mass valuation practice.This method is a systematic process of valuing many properties at a given date using statistical procedures based on property sales and market conditions around the date of valuation. Property owners will only know what the rates will be when the 'cent in the rand' is announced well into next year. This will determine the amounts to be paid in rates. The City is working to have an indicative rate in the rand by the end of February 2010. This will only be an indicative rates as the City is required by law to follow a budgeting process by with the rate in the rand is determined. This process only concludes at the end of May 2010. On Friday 4 December, the first 290 000 property values were loaded onto the City of Cape Town website and the majority of the values will be available by the middle of January next year. The final values will only be available when the roll is submitted to the City Manager at the end of January 2010The public inspection period, which commences on 21 February 2010, has been extended by one month to ensure that all property owners have an opportunity to review their valuations. Log on to www.capetown.gov.za and click on Service and Departments, then Property Valuations, to see what your property is worth. If the value is not yet recorded, it will be soon. For certain areas, from early December, and all will be fully available by 15 January 2010.
" The Valuation Roll will be handed to the City Manager, Achmat Ebrahim, on 31 January 2010. Property owners will start receiving their valuation notices in the post from February 21 next year. Dedicated public inspection venues will be open to the public between 21 February and April 30 next year. The valuers will have investigated about 80 percent of the objections by the end of December 2010. The budget process will establish the rate in the rand by June 2010. Over the past three weeks cable theft has occurred in Pinelands once again leaving a number of areas without street lights. For issues relating to cable theft, call the toll free 24/7 hotline: 0800 222 771. The Concert in the Park is an annual event by the City of Cape Town to encourage and celebrate reconciliation and national unity through music. 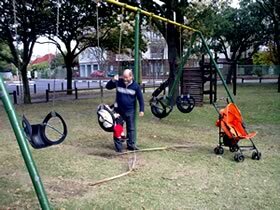 Families from different cultural backgrounds are encouraged to bring along a picnic or use the park's braai facilities and enjoy an afternoon of entertainment for all. The event will begin at 12:00 and end at 18:00, when the park closes. The music lineup will feature well known Cape Town bands and individuals, and various community artists such as Chad Saaiman, Hot Water, Tucan Tucan and The Rudimentals. The City's Come and Play Department will entertain children with jumping castles, games and face painting. Parking will be on a first come, first service basis, and will be supervised by security personnel. There are a number of problem buildings in the Pinelands area. These buildings are often unsightly, unhealthy and unsafe because of associated anti-social behaviour activities. I have been trying to deal with these buildings but have been frustrated by inadequate legislation. Through the Portfolio Committee which I chair, we have been trying to put legislation in place which will assist with dealing with such houses. This problem is not restricted to Pinelands or our ward but is a problem throughout the City . Often the owners of the buildings cannot be traced or have died or the bond holders have abandoned the properties resulting large sums of money owing to the City. These buildings are often occupied illegally or are being rented out illegally by people who do not own them. Through this proposed by-law the City intends identifying, controlling and managing problem buildings in the formal areas within its area of jurisdiction to ensure that compliance of the by-law by owners and tenants of such buildings. Both SAPS and the Cape Town Traffic Services are holding on going road blocks across the city as part of the Department's ongoing enforcement strategies aimed at reducing the amount of accidents and incidents on our roads. City of Cape Town Traffic Officers are trying to reduce the number of road accidents involving drunk drivers by holding roadblocks until the early hours of the morning . As a result of the one held about three weeks ago , 370 vehicles were stopped at the road blocks and 66 drivers were arrested for allegedly driving a motor vehicle on a public road while the concentration of alcohol in any specimen of breath was not less than 0,24mg per 1000ml of breath taken. The highest reading that night was recorded at 3.32mg/1000ml of breath. In addition 128 people were charged for driving without a valid driving licence and 81 for operating unlicensed vehicles on the road. Five cars had to be suspended from use on the road as they had too many mechanical defects. Late in September City Traffic officers again focused their roadblock on motorists driving while under the influence of alcohol,and 27 motorists, including three females, were arrested on this charge. At that roadblock a total 630 traffic fines were issued for offences ranging from failing to carry a driving licence in the vehicle to not displaying number plates, illegal parking and various mechanical defects in the vehicles stopped. One vehicle was suspended from use on the road as the driver had not heeded a previous warning to replace the illegal number plate displayed on the car. The first arbour day celebration in Pinelands took place exactly 80 years ago on August 31, 1929. That event had to be postponed due to bad weather. This year history repeated itself. The arbour day celebration due to take place on September 7th, was postponed due to heavy rains. In 1929, when they reconvened some days later , each pupil who came to plant a tree in Broadwalk received a trowel and a ”goody” bag of sweets. The event lasted the whole day including athletic events and ended with a film show in the evening. This year we reconvened our tree planting but without all the festivities of the bygone era. Nevertheless the importance of tree planting remains and was very evident in the ceremony. 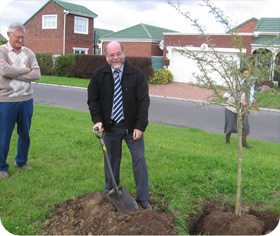 The planting took place in University Drive after Angela Chester, on behalf of the Park Lane residential complex, approached Alderman Brian Watkyns to have trees planted in the area as part of arbour day. Each school in Pinelands sent two learners and a teacher and were each given a tree to plant. Residents from the neighbouring complexes in University Drive joined in, resulting in some 50 people gathering to celebrate the tree planting. The weather was threatening to rain so the trees were planted before the formalities began as the tree planting was the most important activity of the day. Jennifer Fabing from City Parks then spoke about the tree of the year and Alderman Watkyns spoke of famous tree planters both in the past and in the present. Luckily, the rain held off until the celebration was over and all enjoyed some refreshments. Ten minutes after everyone packed up, the rain started. Fire and Rescue Services has received seven new fire engines and is awaiting a new Hazmat vehicle and a hydraulic platform. In addition, 122 firefighters have been appointed. The Disaster Risk Management team has a new mobile Incident Command Vehicle for on-site emergencies as well as 30 additional staff members appointed. Metro Police received 16 new Chev Optra sedans plus horse-box trailers for its equestrian unit. City Traffic Services has appointed 35 trained Traffic Officers and another 70 will be appointed soon. It has also acquired five Golf GTi patrol cars, 10 bicycles, protective clothing and equipment and is awaiting delivery of 40 motorcycles. Law Enforcement is to receive 19 bicycles, four mini-buses, four Chev Optra sedans, five Segways and a light delivery vehicle. Altogether 180 temporary Law Enforcement Officers will be appointed. The City has worked with the South African Police Services (SAPS) and Emergency Medical Services (EMS) to develop this strategy, complying with Fifa as well as the South African 2010 Organising Committee requirements. The strategy’s key elements consist of being people-friendly, having a seamless approach, featuring proven risk management principles, meticulous planning and timing, the provision of training programmes and resources, as well as successful testing of the viability of the strategy. The operational plan will be tested at different events in the run-up to the final draw for next year’s tournament at the Cape Town International Convention Centre (CTICC) on December 4. Prior to the World Cup there will be three test events at the new stadium to ensure that all safety and security aspects have been thoroughly tested before the June kick-off. The previous Administrations such as Pinelands/Cape Town, Tygerberg, etc. had different approaches to managing parking. The need for a uniform approach across the city prompted the drafting of the proposed Parking By-law. Copies of the proposed by-law are available for viewing at all subcouncil offices and public libraries. It can also be viewed or downloaded from the City of Cape Town’s website www.capetown.gov.za. A public hearing will be held on Monday, 14 September 2009 from 10:00 until 15:00 in the Conference Hall at the Bellville Civic Centre. At this hearing registered participants will be allowed a 10 minute slot in which they may make oral submissions which must be accompanied by their written comment. Interested and affected parties can register for a 10 minute slot on Tel: 021 400 4874.